We are honored to help our international correspondents whenever possible, but please note that we require prepayment by wire for new international customers. 3 meter single-wire speaker cable, terminated with WBT spades. Mint condition. Excellent level of detail and extension, with the warmth and musicality Jorma Design is known for. Asking $4450. Sophisticated, musical, highly capable hybrid amplifiers suitable for a wide range of loudspeakers. MSRP $32,490. Asking $15,500 plus shipping. 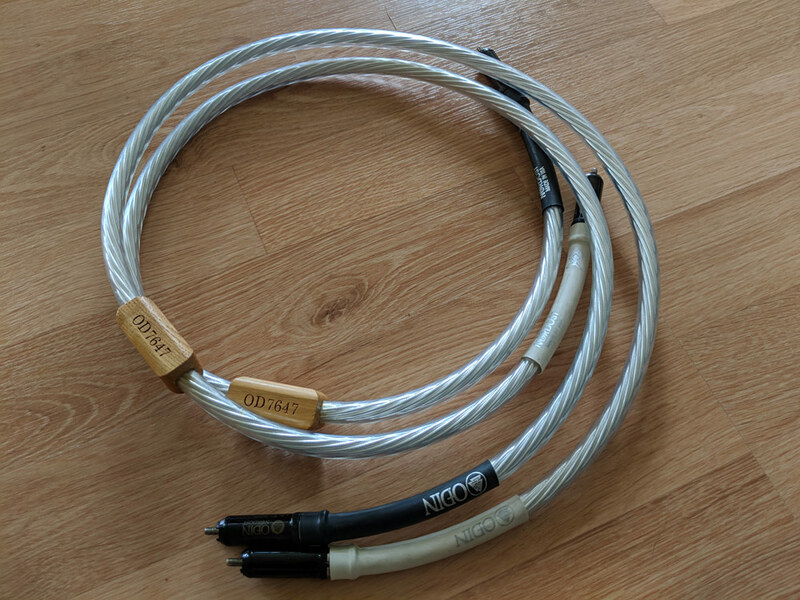 Nordost Odin 1m RCA Interconnect For Sale. One Meter RCA (Single-Ended) Interconnects. Excellent Performers. Broken In On Awesome Nordost Vidar Cable Break-In Device. Retail: $16,000. USED PRICE: $6500. 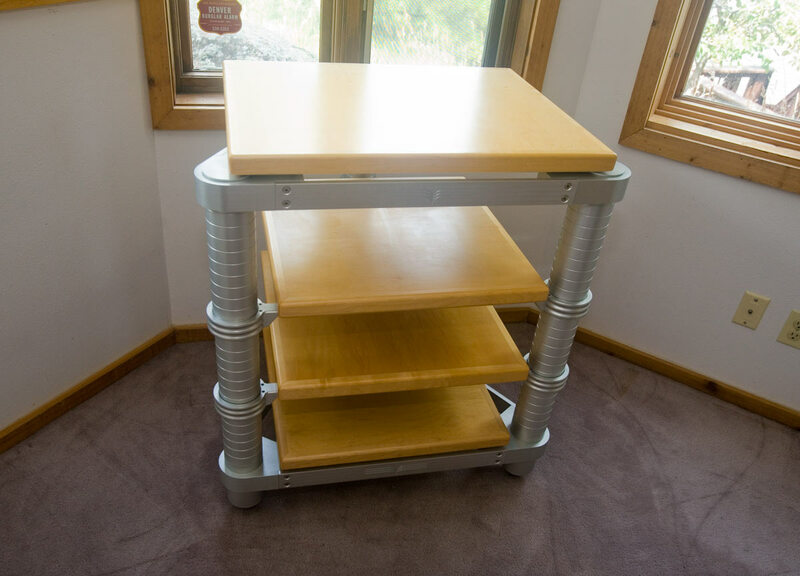 Beautiful and effective equipment rack from Acoustic Dreams. Oversized top shelf (28" x 24") suitable for a large and heavy turntable. Original retail $6900, including custom top shelf. Very nice condition. Asking $4500 OBO. UPDATED September 18, 2017 Jorma Design PRIME interconnects for sale. This is our last pair of PRIME interconnects. Dealer Demo. One meter. RCA. Very detailed with excellent harmonic color. Well broken in using the Nordost Vidar and by a few years of using them in a million dollar hifi system. New MSRP $12000, asking $7000 obo for the pair. With original case. 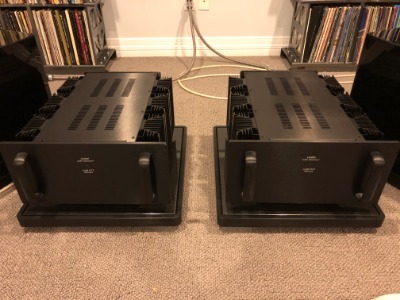 Have more questions about these or want to purchase them? Send us an email (mike+neli@audiofederation.com), or give Neli a call: 303.546.6503. Used Omega Mikro Planar Power Blue power cable for sale. Original MSRP $995, asking $350 obo. Active 900w version, with LCX (requires three 9v batteries). Recommended for many years by Walker Audio. We also have a Red cable, same as the blue except that the conductor is run in the opposite direction; Omega Mikro suggests that you choose the version that sounds better in your system. More info from the factory: Omega Mikro power cables Have more questions about these? Send us an email (mike+neli@audiofederation.com), or give Neli a call: 303.546.6503. Used Omega Mikro Planar Power Red power cable for sale. Original MSRP $995, asking $350 obo. Active 900w version, with LCX (requires three 9v batteries). Recommended for many years by Walker Audio. 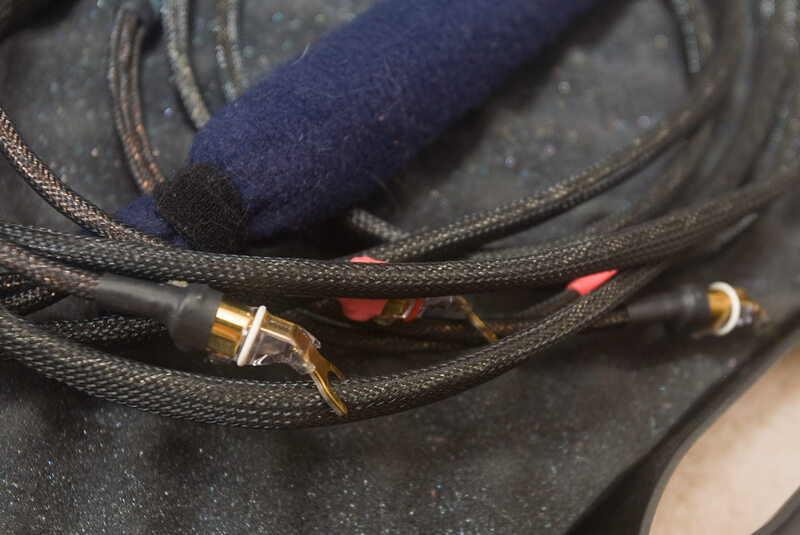 We also have a Blue cable, identical to the Red except that the conductor is run in the opposite direction; Omega Mikro suggests that you choose the version that sounds better in your system. More info from the factory: Omega Mikro power cables Have more questions about this? Send us an email (mike+neli@audiofederation.com), or give Neli a call: 303.546.6503.